Despite being in place for only a few years at most facilities, airport-focused CDM is already delivering measurable improvements to all stakeholders. The core part of any CDM program is empowering stakeholders to make smarter decisions in a dynamic environment. Knowing an aircraft has left its departure airport late or is experiencing delays enroute has ramifications at the destination airport and beyond. Sharing this information in real-time minimizes negative ramifications. Having more accurate aircraft movement times also helps service providers such as ground handlers, who can allocate their resources more efficiently. This ensures that the flights which are ready are being handled, regardless of the original scheduled departure or arrival times. One of the most immediate ramifications of more intelligent, collaborative decisions is better use of resources. 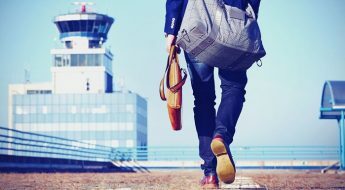 At Oslo Airport, the first full year of implementation saw a dramatic improvement in stand stability–750 fewer stand changes for flights that had passed the final approach fix, the Eurocontrol assessment found. “This has resulted in an improved passenger experience and fewer instances of outbound delay due to late passengers at the gate,” the report says. Frankfurt reported “notable improvements in stand stability immediately after the update of their taxi-in time estimates in 2015,” Eurocontrol notes. 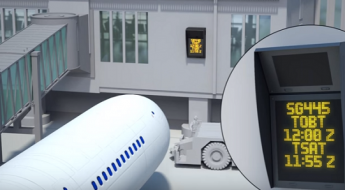 The benefits go beyond getting aircraft into and out of stands with better predictability. The positive ramifications for ground-handlers, noted previously, include improved resource allocation. De-icing service providers also improve operations thanks to more accurate aircraft movement information. 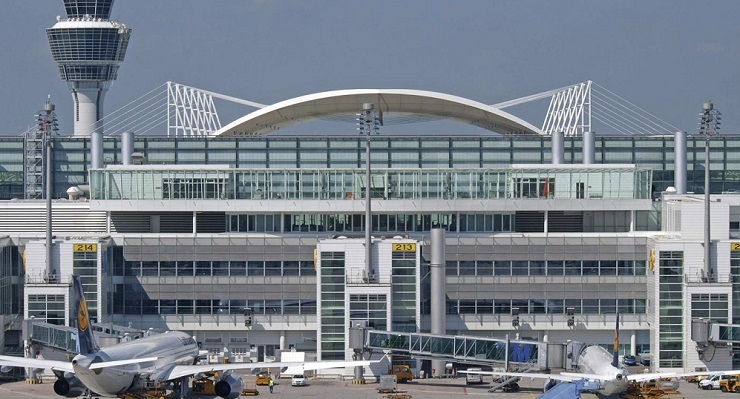 Officials at Munich Airport credit the integration of de-icing targets and milestones into its program as a primary reason for a 5% reduction in flight cancellations between 2005 and 2009–an operating cost avoidance of €2 million, the Eurocontrol assessment reported. Helsinki’s A-CDM program includes a time-stamp, TOBT de-ice, that signifies aircraft are ready for de-icing. This helps de-icing contractors prioritize their movements based on real-time information that can be updated. While A-CDM helps airports in many ways, arguably the most significant is reduced surface congestion. This is achieved primarily through reduced taxi times—which are the most oft-cited benefits of A-CDM. The assessment found a taxi-time improvement average in the range of 15 seconds to 3 minutes per departure. An 80% improvement in take-off-time accuracy, to 2 minutes per flight. By implementing A-CDM elements such as TOBT and Target Start-Up Time (TSAT), aircrafts do not move until the system is ready to accept them. This helps cut down on taxi times and ground congestion, which has the added plus of reducing emissions, which airports can claim toward their own environmental targets. The overarching result is more accurate planning, which means aircrafts are spending less time between the stand and their departure clearance. This saves fuel, lowers emissions, and creates a more predictable experience for operators, service providers, and passengers. One significant advantage that A-CDM offers is the opportunity to use the data gained for safety improvements. Data-sharing is the foundation of most current global aviation safety initiatives, such as safety management systems. “At its most basic, data sharing improves situational awareness among the stakeholders so that decisions can be made with more complete information on safety considerations,” the ACRP report says. While the already-discussed positives such as surface congestion reduction and more accurate ground-movement information help create a safer airport environment, A-CDM’s potential goes much further. For instance, the ability to monitor and share data on aircraft taxi-path conformance or operations of tugs and other surface vehicles both on the airfield and around the gate area could help identify patterns or surface hazards that offer opportunities to reduce risk. While all airports report positive results from focused collaboration programs, specific results will vary based on local factors and the extent of an implementation. Research has shown that commercial airports of all sizes—not just large hubs–can improve from the programs. A-CDM is really all about improvements in performance through cultural change and proactive partnership….linking the airports to the network through A-CDM has a positive effect both in terms of capacity and predictability – with benefits for each player involved. Do you want to read more about A-CDM? This two-part series provides insight on A-CDM’s evolution and reports on the positive impact it is having at large and small airports. 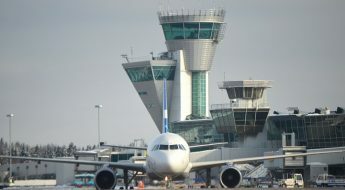 A-CDM: The Essential Guide to Improving Airport Efficiency (Part 1) introduces A-CDM and discusses its rise in Europe. Part 2 covers several of the key outcomes that airports have reported.